Home User Role Management How will I assign role to member for a particular project? How will I assign role to member for a particular project? Navigate to the project page. Click on the blue arrow button on the left side of the name of the project. 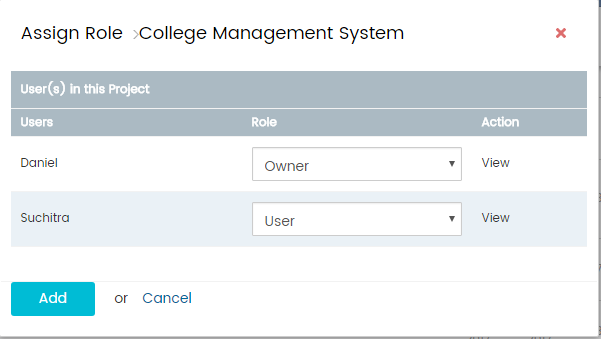 Click on Assign Role pop up; Assign the required role to the user. Click on Add to save. Note: You can define the access of the user from the Action. Click on View under Action to view the modules/features of Orangescrum to define the access for that user. Select Yes or No to update the action of a user in Orangescrum.